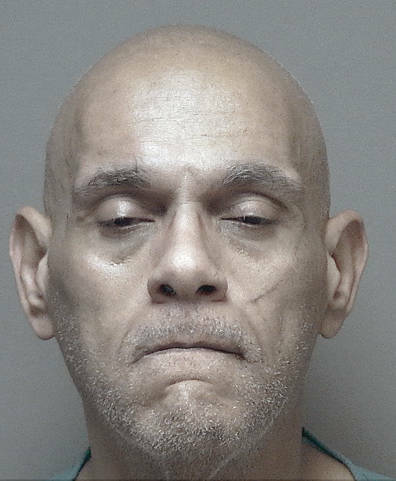 MIAMI COUNTY — The Piqua post of the Ohio State Highway Patrol arrested an Indiana man after he fled from a trooper and police officers during a pursuit Monday morning. According to a press release, the trooper “discharged several rounds” after David Poindexter, 51, of Lawrenceburg, Ind., fled from the vehicle in the area of Honda in Troy once the vehicle was disabled from stop sticks. Poindexter was not struck in the incident. In Miami County Municipal Court on Monday, Poindexter was arraigned on two counts of third-degree felony failure to comply, fourth-degree felony receiving stolen property and misdemeanor resisting arrest, speed, and reckless operation following the pursuit. Poindexter remains incarcerated at the Miami County Jail. At approximately 1:12 a.m. Monday, troopers stopped a stolen 2019 Ford Fusion for a speed violation on Interstate 75 near milepost 78, north of the city of Piqua. The driver initially stopped, but fled as troopers approached the vehicle. The driver traveled south towards Piqua and exited I-75. Troopers terminated the pursuit as the vehicle approached the city. Troopers contacted the Piqua Police Department after the vehicle was spotted entering the city. The vehicle then exited the city and traveled south on County Road 25A towards I-75. The vehicle re-entered onto I-75 south at milepost 78. As the driver approached the city of Troy, road spikes were deployed. The vehicle struck the spikes and exited at milepost 74, but immediately re-entered and continued south. The vehicle began to slow, traveled west into the ditch and struck a right-of-way fence, becoming disabled. As troopers arrived, the suspect began to exit the vehicle with an object in his hand. The suspect failed to comply with verbal orders and the trooper discharged several rounds. The suspect was not struck and fled onto property belonging to Honda. The suspect was captured after a short foot pursuit and transported to a local hospital as a precaution. After the suspect was discharged, he attempted to escape custody, but was arrested.